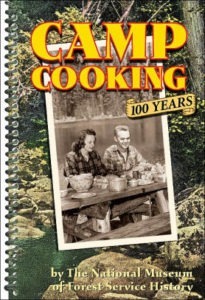 The National Museum of Forest Service History presents a charming cookbook that celebrates decades of camp cooking by countless Forest Service agents in the field. 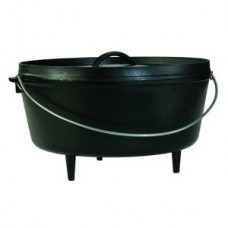 Features legendary recipes for Dutch oven meals, open-fire dishes, and other tasty outdoor specialties used daily in the early days of the Forest Service. 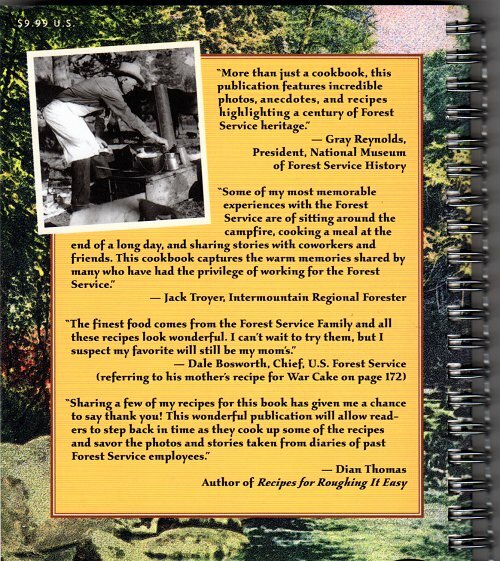 The National Museum of Forest Service History presents a charming cookbook that celebrates decades of camp cooking by countless Forest Service agents in the field. 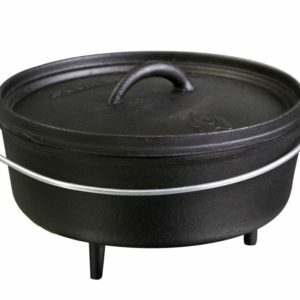 Featuring legendary recipes for Dutch oven meals, open-fire dishes, and other tasty outdoor specialties used daily in the early days of the Forest Service, Camp Cooking has dozens of recipes, photos, and anecdotes that tell the whole history of these brave and hardy individuals.